Coming North on I-77, I-74, or US-52, take Hwy 89 West near the Mt. Airy area. Stay on Hwy 89 for approx. 20 miles. 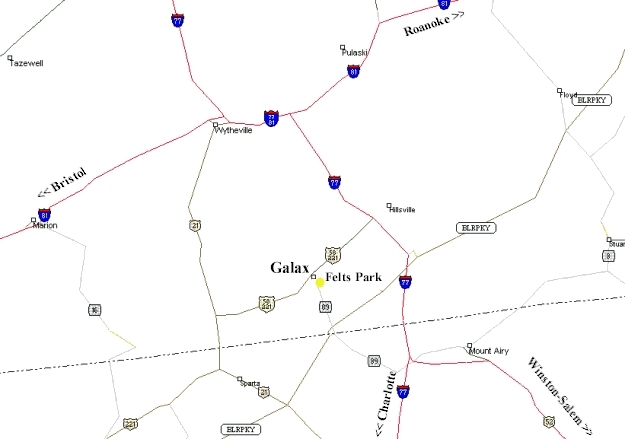 As you enter downtown Galax, watch for Felts Park on the right.